After being in the thick of the racing for much of the day, James Cunnama has withdrawn from the race. At 8km on the run Blatchford leads by 6mins to Crawford, like 2013 it looks like a race between the two. Grant Scooter Patterson crosses the finish line. 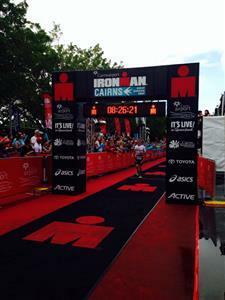 IRONMAN.comThe annual IRONMAN Cairns and IRONMAN 70.3 Cairns have many stories of endeavor. 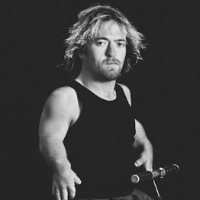 Daniel Hoy talks to one of them. At 22km Brown is 11.30 behind McKenzie. Our spotter on course reports that McKenzie looks comfortable, and is running better than he was at the start of the run leg. It's been a similar game plan to 2013 where McKenzie got off the bike with a big lead over Tim Berkel and held on to run a three hour marathon and win by 5 mins. He'll be hoping for more of the same for the back half of today's marathon. 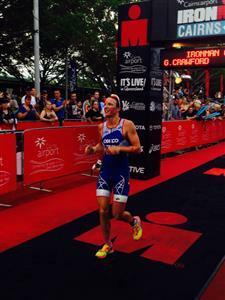 At 14km on the run Blatchford is holding strong, still leading by over 6 minutes to Crawford. 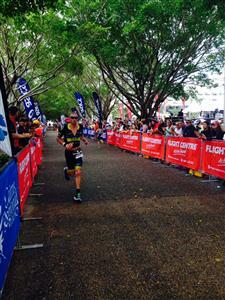 Toyota IRONMAN Australia Champion Bremer is in third 13 mins off the lead. At the 22km mark Dylan McNeice was in 4th 21mins behind the leader. 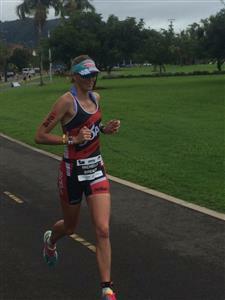 Blatchford is well into her second lap of the run and holding strong, still leading by over 6 minutes. She's just gone past our spotter Amanda Balding and given her the thumbs up. Luke McKenzie is holding strong, onto his final lap. Blatchford is still holing strong leading by over 6 mins to Crawford with Bremer over 10 mins our spotter Toby Coote reports that Sarah Crowley in 4th is moving well. 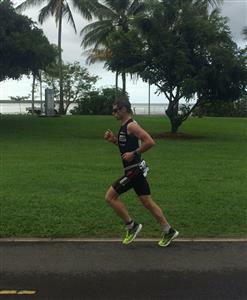 Luke McKenzie is holding onto his strong lead on the last lap of the run at the 35km mark. Cam Brown still approx 10 mins back in 2nd. 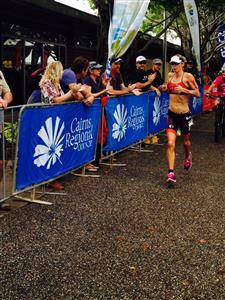 Our leader Liz Blatchford is on her way back into town at the 26km mark to start her 3rd lap. Gina Crawford is in 2nd, and report from our spotter out on course is that Michelle Bremer is holding onto 3rd but 4th place Sarah Crowley is closing in and looking strong. 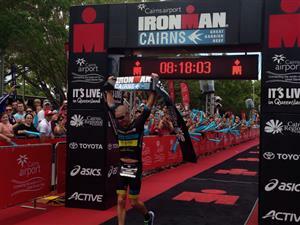 Luke McKenzie is our 2015 Cairns Airport IRONMAN Cairns Champion! 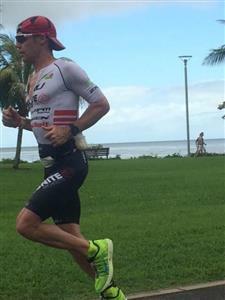 120km into the bike Luke has said that his race had started to go sour as his body was rejecting the nutrition, on the run he said he started 'empty' but managed to hold onto a win for his 2nd IRONMAN Cairns title. What a week for the Queenslander..... Engaged to his beautiful fiance Beth Gerdes on Green Island earlier this week and a win here today! 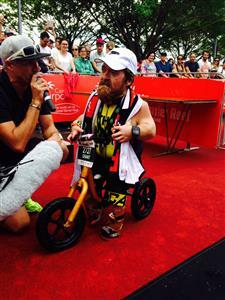 Kiwi and last year's champion Cam Brown has crossed the line in 2nd place. Proud fiance Beth & Baby Wynne at the finish line as papa Luke crosses in 1st. Beth had a tough day racing out there and had to pull out due to a puncture on the bike but Luke's win has her smiling ear to ear. 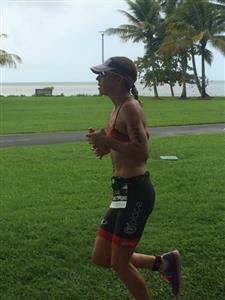 In the women's race Queen of Cairns Liz Blatchford is still in the lead past the 32km mark with just 10k to go to make it 3 titles in a row. 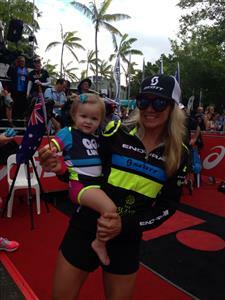 Blatchford is entering the final countdown of her 2015 IRONMAN Cairns journey. She has just begun her final 5k decent towards the finish line. 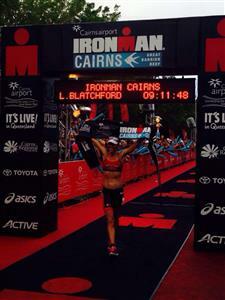 This victory will make Blatchford a 3 x consecutive winner of the Cairns Airport IRONMAN Cairns. 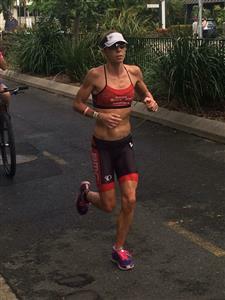 2nd place Kiwi Gina Crawford is 8.5 mins behind Liz, with Michelle Bremer still holding onto 3rd. Sarah Crowley is close in 4th but reports are that her form has dropped and doesn't look like she can push up to 3rd place. And another #IMCairns bites the dust for Liz Blatchford who is officially now the 3 x Cairns Airport IRONMAN Cairns female champion. 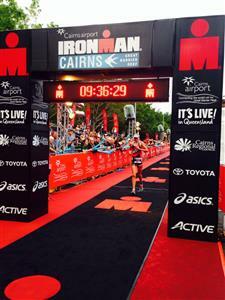 She has earned the title "Queen of Cairns" - congratulations Liz! Check out the bike highlights from earlier today.